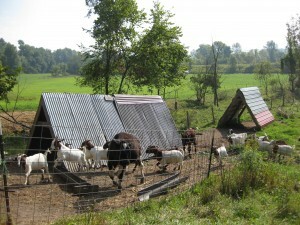 The Cook Farm, located just north of town along Upper Plain Rd, in Bradford, VT, has been a labor of love for David and Amy Cook for the past 15 years.Â Now quite a diverse agricultural operation, the Cook Farm currently includes goats, pigs, chickens, vegetables.Â Â Dave and Amy have acquired this 70+ acre farm in phases, beginning in the summer of 1997 they rented 1.6Â± acres, which included the house and barns and a bit of the adjacent farmland.Â At that time, the rest of the surrounding farmland was rented to local farmers.Â Easing into small scale farming, they began by raising livestock including sheep and heifers. Â Amy was also beginning her veterinary career at the time.Â By 1999, they were able to purchase the 1.6Â± acres and immediately began making improvements to the existing structures on this small parcel; finally, in 2003 they purchased the surrounding 70Â± acres. Through the process of conserving this property, the Cooks learned that their land has been farmed, more or less in its current configuration, at least since the early 1800â€™s back to John H. Sawyer who was likely of the Sawyer Family for whom Sawyerâ€™s Ledges and Sawyerâ€™s Cemetery is named. Close to a third of the land is farmland with nearly all of the farmed openÂ agricultural soils designated as prime and statewide significant soils. Â Most of the other two thirds of the property is forested containing signs of many species including deer, grey fox, black bear, bob cats, and turkeys. Â All of the forest west of the nearby power line, about 30Â± acres, is identified asÂ deer wintering area by the Vermont Fish and Wildlife. 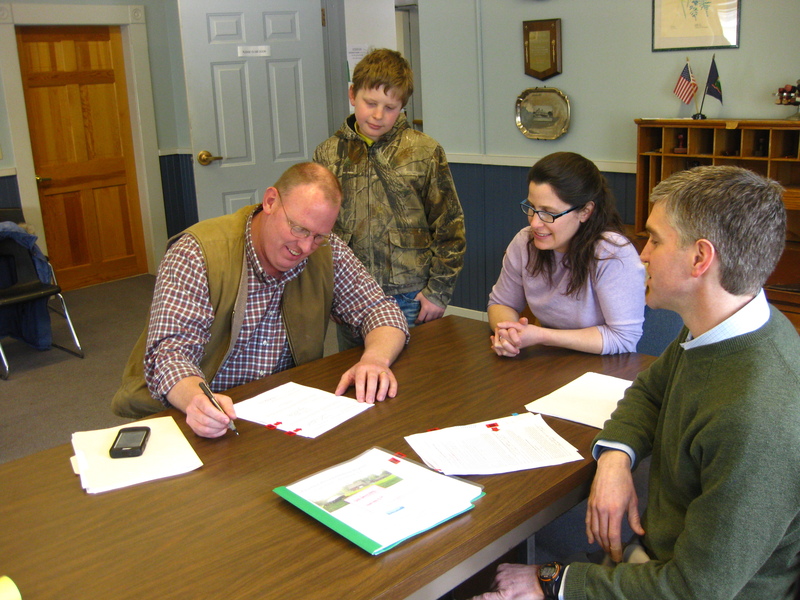 On Friday March 22, 2013, Dave and Amy signed the conservation easement documents with the Upper Valley Land Trust which permanently protect their land and its farming legacy.Â The Cooks will continue to grow and develop their farm products including plans for ongoing work to improve the fertility and productivity of the fields to support more animals as well as a focus on the long-term, sustainable growth of the forest. Currently, Amy is working on breeding a highly disease resistant and robust meat goat as well as plans for future dairy goats and Dave is interested in doing more with fruits and vegetables.Â Their long term goal is to produce all of the familyâ€™s food on their 70-acre farm.Â Â Amy has also made goatâ€™s milk soap and their surplus veggies have been sold at local farmerâ€™s markets.Â Their meat is available seasonally. The Cook’s property is in aÂ corridor along the Connecticut River and Scenic Byway which has benefitedÂ from conservation efforts. Within just one mile there is over 688 acres ofÂ land conserved with the Upper Valley Land Trust, including the abutting property, Stonecliff Farm, and now the Cook Farm itself. 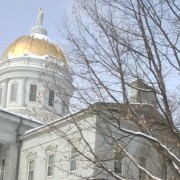 This project was supported by the Vermont Housing and Conservation Board (VHCB) and the Natural Resource Conservation Service (NRCS) of Vermont. In addition, an Option to Purchase at Agricultural Value (OPAV) is held by the Vermont Land Trust (VLT), the Vermont Housing and Conservation Board (VHCB), and the Vermont Agency of Agriculture, Food, and Markets, (VAAFM). 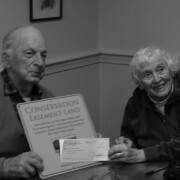 Â The Bradford Conservation Commission paid for half of the Cook’s conservation easement appraisal through their Conservation Fund.Â The goal and intention is that the farmland always be available and affordable for farming.